As you can see with most of the photos on this blog, I tend toward ocean living (and travel). Beach scenes, seaside towns, and marinas tend to entice me, but there are times when the views of the desert side of life in Southern California can be pretty spectacular. 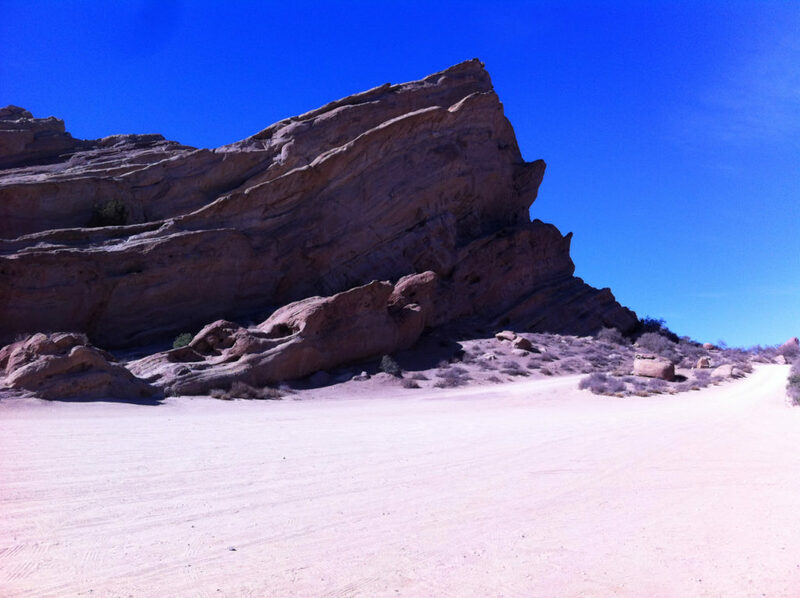 This was the case when I wandered into Agua Dulce this weekend and visited Vasquez Rocks. 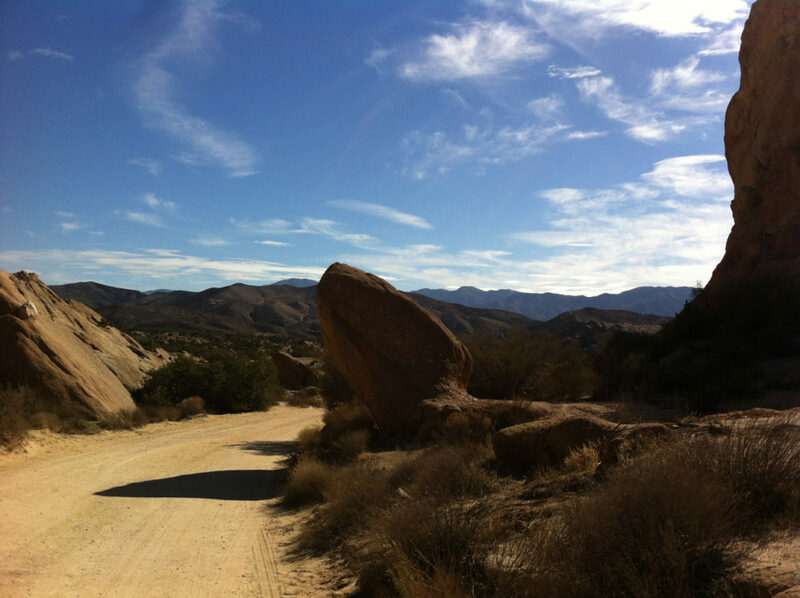 Agua Dulce is about a 40 minute drive northeast of Los Angeles (405/5/14N for those of you planning the trek), just on the other side of Santa Clarita. 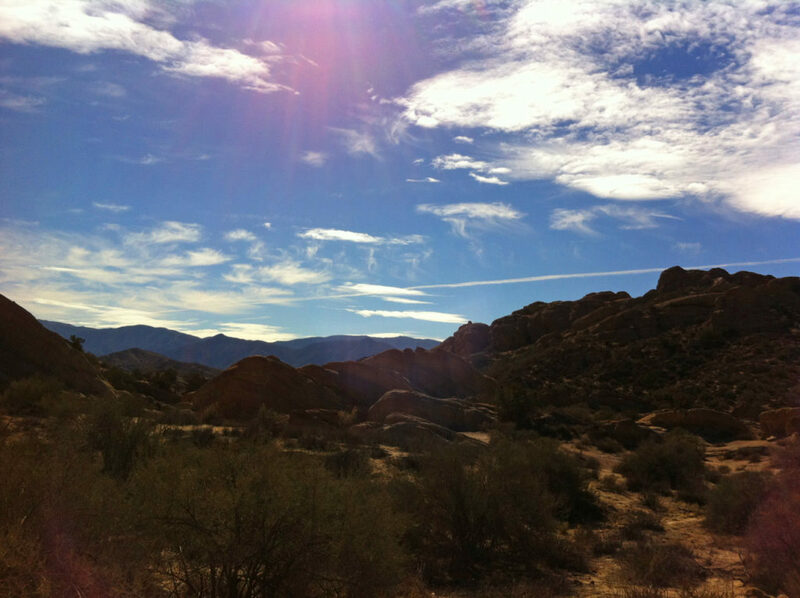 Vasquez Rocks Natural Area Park is located up in the high desert. The park itself includes more than 900 acres of rock formations and Tataviam Indian sites. The prehistoric formations are incredible to behold and a result of the movements of the San Andreas and San Gabriel Faults. During wetter years, there is a seasonal stream that runs through it, but don’t count on that now. Even though it is technically winter here, Southern California is still under drought conditions, and you can see the effects on the vegetation throughout the park. This area is very popular with hikers, campers and equestrians (in fact there were quite a few horse trailers parked in the main parking lot when I arrived). If you just want to see the most well-known formations, you can drive to either the front parking area and walk down the dirt road to them, or drive down into the wide open parking lot just beyond the formations. Those hoping for group camping spaces do need a permit/reservation. Aside from the spectacular views in the park, there is another terrific feature for fellow broke travelers like me: it’s free (!) 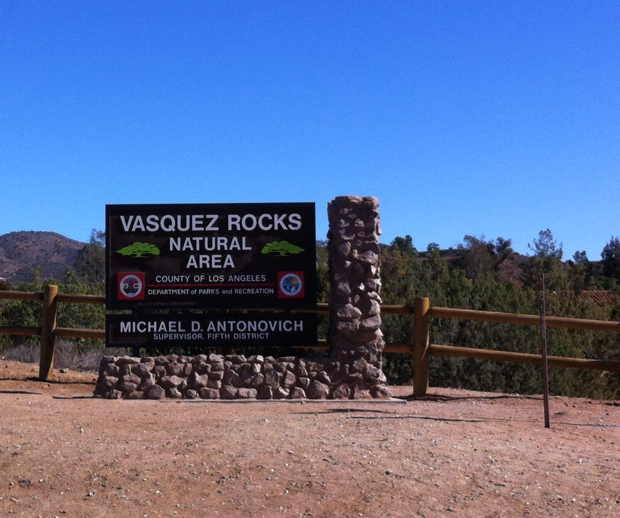 to hike, ride, or climb (though please take safety precautions if you tackle the rocks). There was a cool breeze rushing through the park this weekend despite the 75+ temperatures. So, even if you think you have it covered, take a jacket just in case, adequate supplies of water and a hat (the sun bouncing off those rocks can be powerful, so sunscreen is also a must). It’s hard to tell from these photos, but there are actually people everywhere on the rocks. I suppose when a rock is more than 150-feet high, people are a bit hard to pick out. Still, despite the large number of people (and animals) roaming about on Saturday, there is quiet to this place. 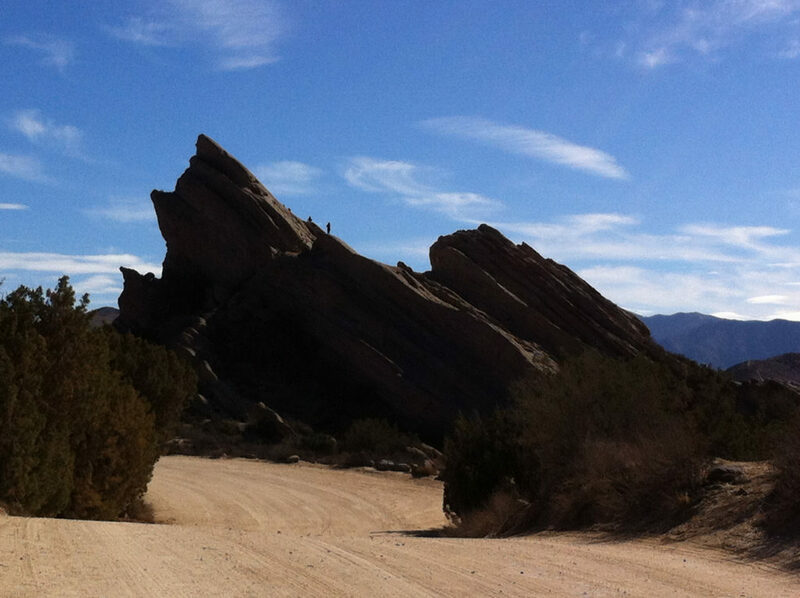 I can understand completely why this location is so popular with those filming Westerns—often the only sounds you can hear are the wind rushing through the rocks and the rubbing of dry brush as you pass by it.